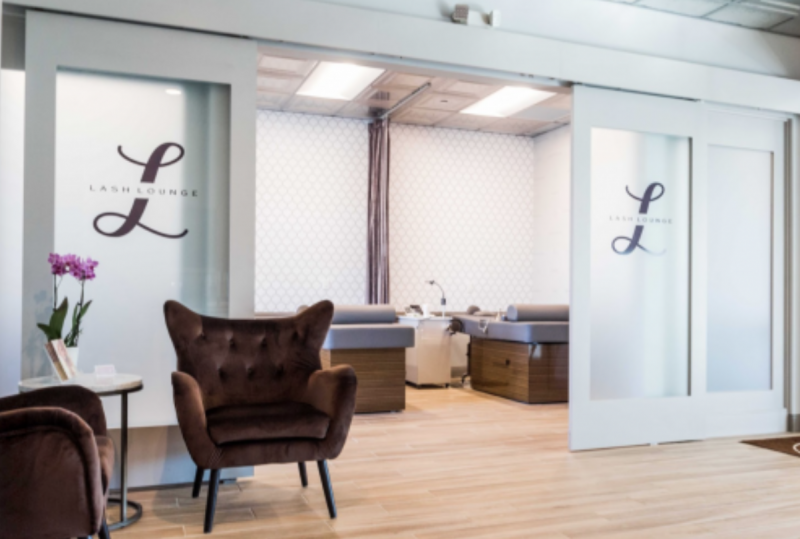 If you have ever been thinking about visiting a place of business whether it’s a salon, spa, restaurant … anywhere, there’s always that question of “what can I expect?” Today on the TLL blog we’re sharing what you can expect at The Lash Lounge, from the atmosphere itself to after your first lash extension application. From the moment you walk through the doors to the moment you leave, you will enjoy a beautiful and inviting spa-like atmosphere. 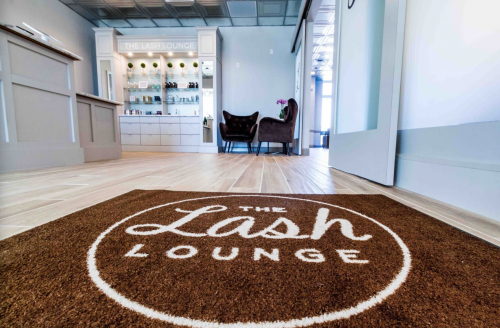 The signature Lash Lounge colors blend beautifully throughout the salon from the front desk and guest area to the service areas themselves. The plush blankets found on each bed adds a welcoming touch and creates an atmosphere where guests instantly know they can relax and feel pampered. 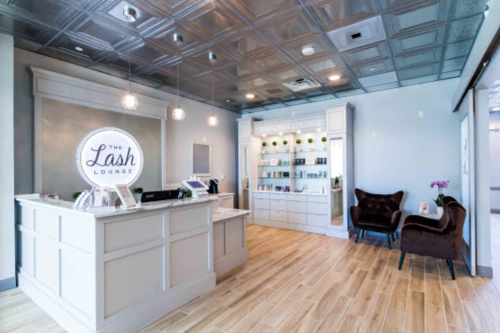 At your first appointment for lash extensions, you will receive a personalized consultation with a trained stylist who will talk to you about the different lash looks, and show you different style and curl options. Your stylist will also determine the length and density your natural lashes will be able to sustain. Be prepared to answer some questions about your current beauty routine, allergies, etc. Once you and your stylist have determined your desired lash style, you are ready to lie down and relax. 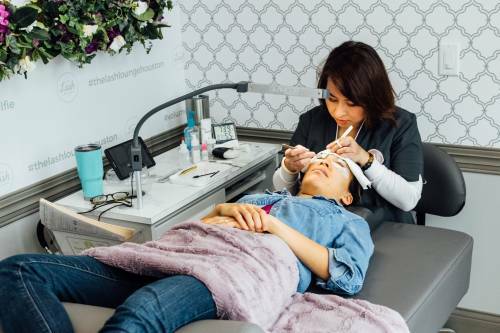 Keep in mind that the first session for lash extensions can take approximately 90 minutes (or more) and you will have your eyes closed during that time. Your stylist will apply tape and an eye pad under each eye. Why are they applying tape and eye pads? This helps keep the top lash line and bottom lash line separated during the service, which makes your top lashes more visible to your stylist. The application process itself begins by your stylist adhering one synthetic lash extension to one of your natural lashes with medical grade adhesive. During the application, you will feel a very light touch to your lashes, which can feel like your lashes are occasionally being brushed … this is very relaxing! While your stylist is working her lash magic, this is the time for you to just relax and take one of those dreamy lash naps you’ve been hearing all about! When the application is complete, your stylist will observe your lashes and check to ensure they are symmetrical and full. To speed up the drying process of the adhesive and curing your lashes immediately, your stylist may use a small blower. This will feel like a cool breeze on your eyes for just a few seconds. When the application is complete, the tape and eye pads under your eyes will gently be removed. And now, drum roll please … it’s time to look at your luxurious, new lashes! 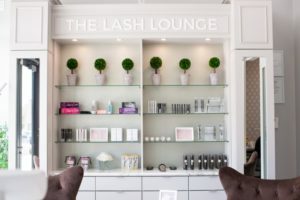 After your application, your stylist will share a few of the best ways to take care of your lashes and products to use to keep your lashes looking beautiful. To keep your lashes looking full and fabulous, schedule a refill appointment within 2-3 weeks. A typical refill takes about an hour, so it’s a shorter process than your first application but still the perfect time for you to relax!